Why do my emails bounce? 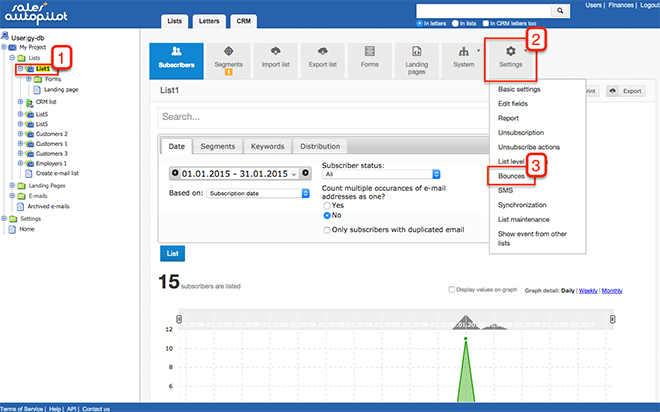 You can customize what happens to subscribers from whose email address the email bounce back. 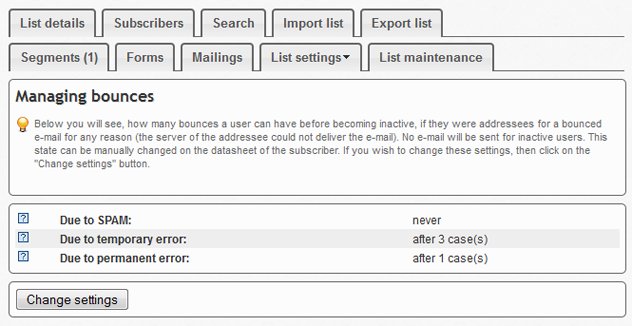 You can reach the settings from the email lists, List settings tab / Bounces. On this screen you can review the current settings that regulate after how many bounces the subscriber becomes inactive. SalesAutopilot won't send emails to inactive subscribers at all. You can change the subscribers' status on their datasheet. If you would like to modify settings click the "Change settings" button. 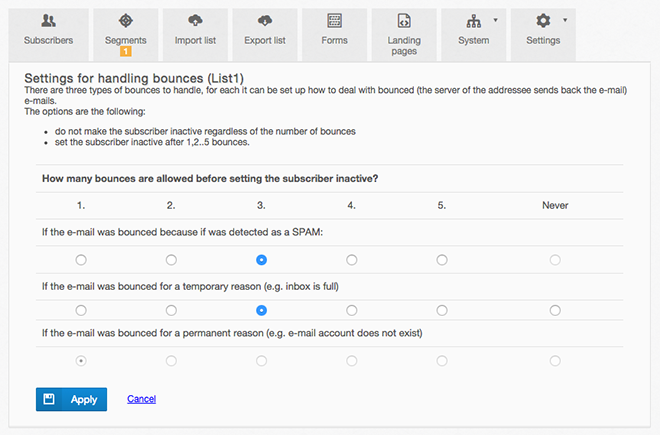 On the following screen set the desired values by bounce types with the radio buttons. You can't change the hard bounce number because it's the best practice to set the subscriber's status inactive immediately after the first hard bounce. IMPORTANT: if you are not 100% sure about the consequences of the modified settings do not change the default values otherwise it can have a negative effect on deliverability.